The original, triangle-shaped track was built in 1921, with designers Jules de Thier and Henri Langlois van Ophem using public roads between the towns of Francorchamps, Malmedy, and Stavelot to create an amazing 14.9km circuit taking in the forests and rolling hills of the beautiful Ardennes region. 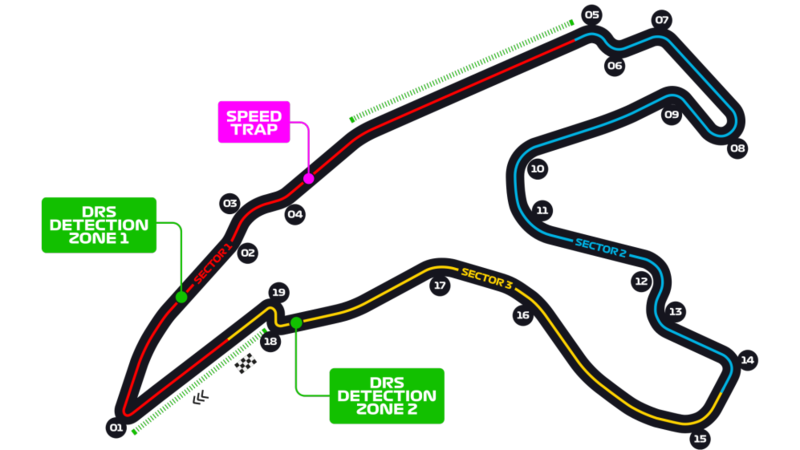 The track was redeveloped in 1979, and although the new circuit is only half the original's length, it’s still the longest on the current calendar at 7.004km. Having hosted a non-championship Grand Prix as long ago as 1924, Belgium’s iconic circuit was one of just seven to be part of Formula 1’s maiden championship in 1950. That race was won by the legendary Juan Manuel Fangio, who led home an Alfa Romeo one-two ahead of team mate Nino Farina. 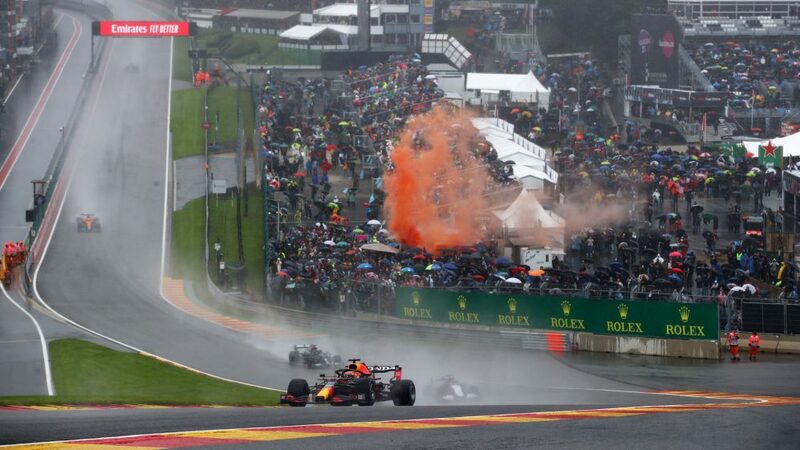 Spa is among Formula 1 drivers’ most loved tracks, with its mix of long straights and challenging fast corners allowing them to push their cars to the edge of their capabilities – if it’s dry, that is. The size of the track and the nature of Belgian weather means it can sometimes be raining on one part of the track and dry on another, meaning grip can vary from one corner to the next. 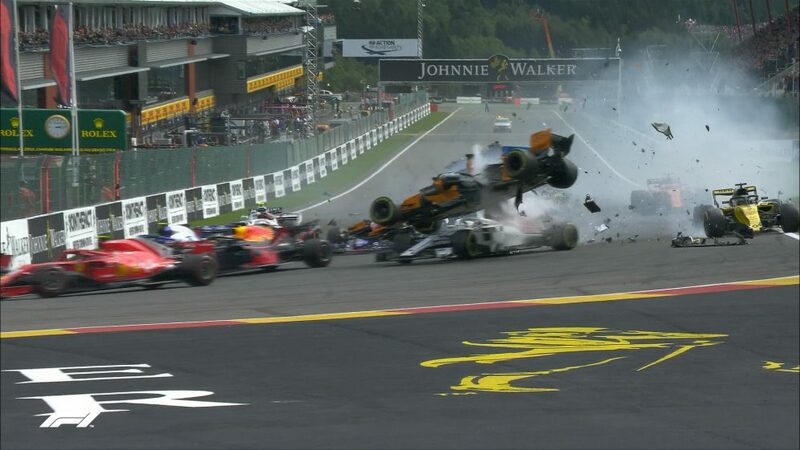 Keep an eye on the thrilling Eau Rouge, arguably the most famous sequence of corners in the world, as the drivers flick left, right and then up the hill through Raidillon. What’s not to love about one of Europe’s classic tracks? Only the truly great drivers conquer Spa, with Ayrton Senna and Michael Schumacher among those to master this magical circuit. 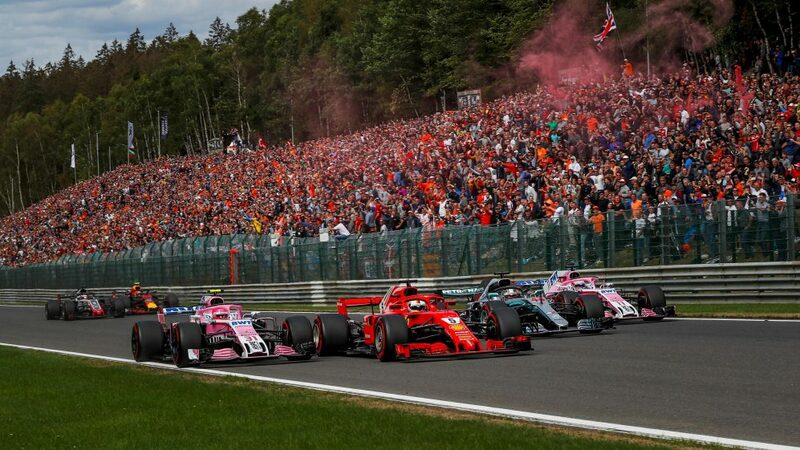 Add in the wonderful setting of the Ardennes forest and it’s no surprise that it’s a fan favourite, with a record 265,000 spectators turning out to watch the 2017 Spa showdown. 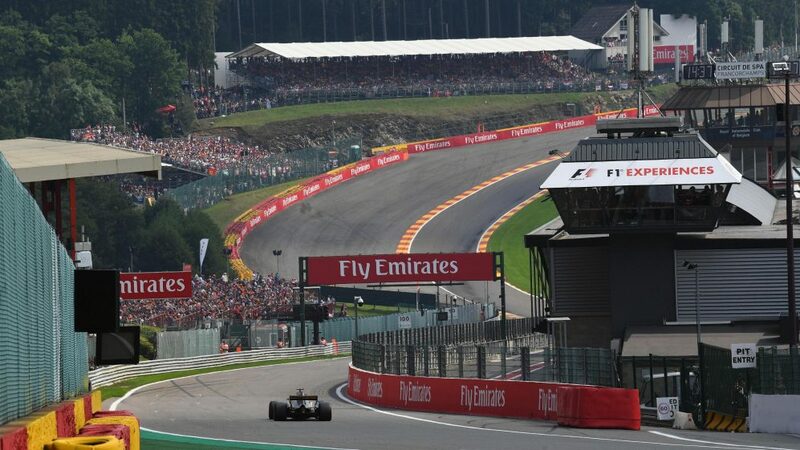 The elevated grandstand located near Eau Rouge gives you the best view of the iconic corner, while also boasting panoramic views from La Source through to Raidillon. But if you fancy taking in some of the best trackside atmosphere, then the grandstand located on the Pouhon corner should be right up your street.